Is Teeth Whitening in Deland Safe – and What Are Your Options? If you think that teeth whitening is a new development in human history, the truth will surprise you. The ancient Egyptians viewed white teeth as a sign of wealth and beauty and were known to use things like pumice and wine vinegar to brighten their smiles. And the ancient Romans used the even less appealing method of swishing with urine! Fortunately for us, teeth whitening in Deland has come a long way since then. But you may still be wondering if it’s safe for your teeth and what kind of options you have. Keep reading to find out more! Comments Off on Is Teeth Whitening in Deland Safe – and What Are Your Options? Even if you don’t make formal New Year’s resolutions, most people secretly resolve to do better at pretty much everything when a new year rolls around. 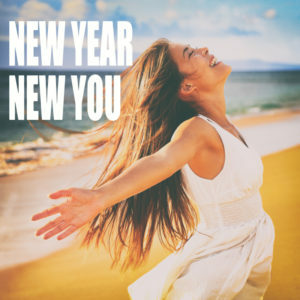 If you’re doing that, your dentist in DeLand would like to help you prioritize the dental habits you should improve in 2019. Recently, you’ve noticed difficulty with opening your mouth, which also causes painful sensations. 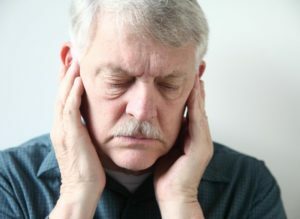 One of the possible causes of these symptoms is a dysfunction of the TMJ (temporomandibular joint), which may require TMJ therapy in Deland to restore your normal jaw health. As you read on, you’ll learn more about this dynamic joint, what causes it to fail and the different treatment options available. If your smile lost its luster, teeth whitening in DeLand is a great way to bring new life to it. A professional-grade whitening agent deeply penetrates your enamel to resolve stubborn stains. 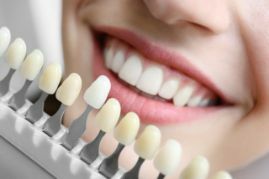 Your teeth will be several shades whiter after just one appointment. To keep your smile looking great, there are a few things to avoid after your treatment. 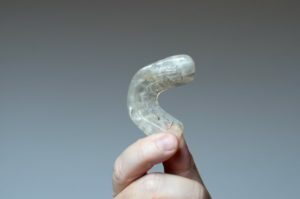 What Can I Expect after Getting Dental Crowns in DeLand? Dental crowns in DeLand hold a commonplace in restorative dentistry. By placing a custom-made cap over a tooth, it restores its health, function, and appearance. Although you may be a bit caught off-guard when your dentist suggests one, you have nothing to fear. A single crown is the most common restorative procedure used to rehabilitate the health of a tooth. To get your restoration, it will take a couple of appointments, and there will be a small recovery period. Comments Off on What Can I Expect after Getting Dental Crowns in DeLand? 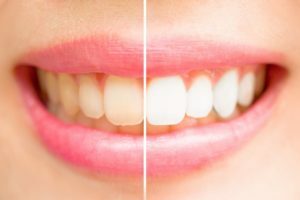 Why Should I Get Professional Teeth Whitening in DeLand? Do you have a big event coming up? Whether it’s a birthday, wedding, or any number of important personal milestones, you always want to be looking your best. You go to the store to buy a dress and get your hair and nails done, but what about your smile? Your grin is one of the first things people notice about you so how can you make it look bright and white? Keep reading to find out why you should leave teeth whitening in DeLand to your professional dentist rather than do-it-yourself solutions. 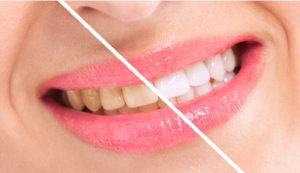 Comments Off on Why Should I Get Professional Teeth Whitening in DeLand? 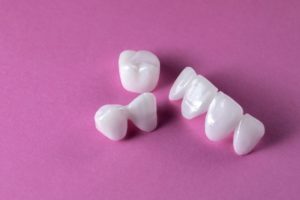 Did you just receive dental crowns in DeLand? This cemented restoration completely fits over the top of a damaged tooth protecting the structure that remains while also improving your smile’s appearance and function. Your smile is already looking better and feeling healthy, but what comes next? Do you know what to expect after getting your dental crowns? 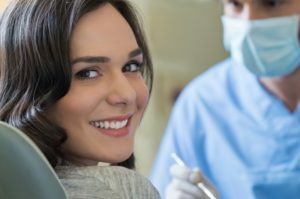 Your trusted dentist in DeLand explains the benefits dental crowns bring to you and your mouth, what you can do now that you couldn’t before, and some warning signs that you may need to talk to your dentist about.